Historically called Dahomey, it was the home of Voodoo and animistic religions, and one of the major sources of slaves. Literacy rate in French: 34%. A majority of the Boko also speak Hausa as a second language, while 30% only speak their mother tongue. Lifestyle: subsistence farming in villages of 100 to 500 inhabitants. Some cities have over 10,000 inhabitants. Beliefs: traditionally animist, predominantly Voodoo. Since 1960, 80 % have converted to Islam for economic advantage. About 3% are Christian, mainly evangelical. Initiated by the churches, and with the help of several NGOs, literacy programs in Boko have been set up under the auspices of local authorities. 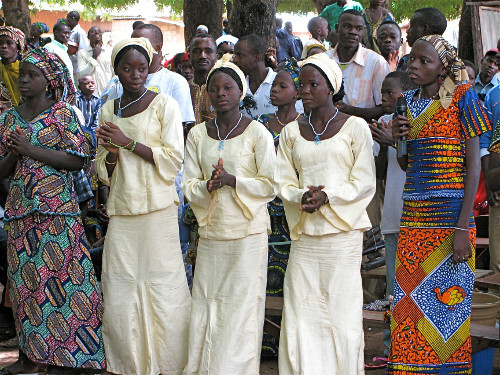 Teachers have been trained in the villages and have available about 30 literacy booklets… along with the Bible in Boko! The missionary work of Serving In Mission (SIM) began among the Bokos in 1954. 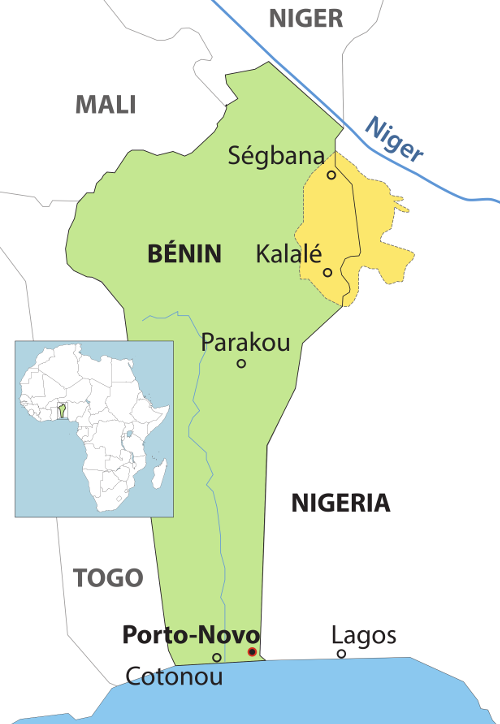 Today there are around 30 churches and more than 2,000 Boko believers in Benin. They have a Bible school in their language, and a church council. 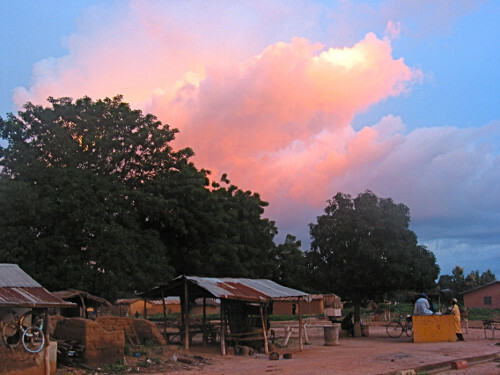 Christian radio programs in Boko are broadcast each week on local radio. The Bible was translated into Boko between 1974 and 1990, and published for the first time in 1992. As is often the case when a language is first reduced to writing, after a few years of use there are changes to the alphabet and the need for revision is felt. To give an idea of the amount of work involved, John 3:16 required ten “tonal” changes and two “junction” changes. Now the heavily revised Bible in Boko uses an improved tonal system and simplified vocabulary that makes it much easier to read. At the end of this long and painstaking work, led by Ross Jones and two Boko brothers, Levi and André, MiDi Bible undertook the commitment to publish and finance half the cost of printing 2,000 Bibles. For the Boko Christians, the Bible in Boko is become indispensable for preaching, evangelism, and teaching in the Bible school. In each of these meetings the Bible is read and it holds a high place in the eyes of the Boko Christians, especially because it is… in their language! 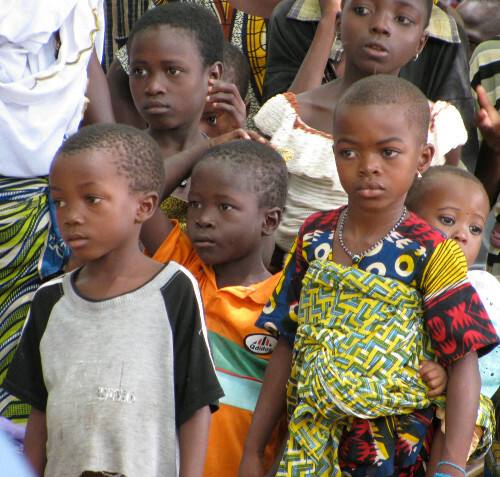 More than 600 people were present to celebrate the arrival of the Bible in Boko. It is a completely new version using a revised tonal alphabet. 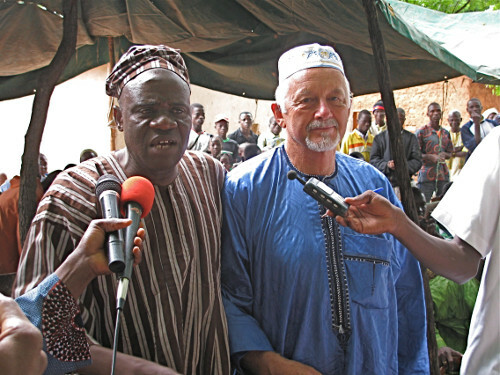 Mission leaders and church leaders came from Parakou, the district capital, as well as chiefs and dignitaries from the region and from Nigeria. The local mayor gave an enthusiastic speech, praising God and the translation team who, by their work, have saved the Boko language from certain disappearance. He also praised the pastors for their support. The celebration was a feast that lasted all day. The ambiance was warm and happy, with times of prayer and speeches alternating with colorful choirs from the churches, musical groups, and traditional dance troupes. There were many Boko Christians there, some having traveled a long distance to celebrate and praise God for His goodness.